Providing you the best range of wire drawing machine gear with effective & timely delivery. 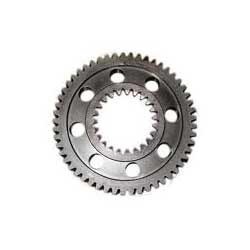 We are involved in manufacturing and supplying of Wire Drawing Machine Gear to our clients. We provide supreme quality raw material based on latest mechanisms and advanced technology with the quality standards. As per the requirements of our valuable clients these products are available in various specifications. Some of the main features are Ring type drawing capstans are of High Carbon High Chromium, Transmission gears and bearings are enforced lubricant, Stainless Steel Covers, Dual Spoolers etc. Looking for Wire Drawing Machine Gears ?